All gas sensors must be calibrated to on-site environmental conditions once installation is complete. Net Safety Monitoring gas sensors are calibrated to factory conditions before shipment to verify operation but accurate response to gas must be again be verified prior to using the device. Regular checks and calibrations are also essential to ensure that the detectors are ready to respond at all times. 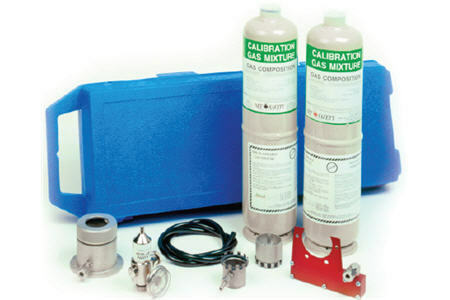 Net Safety Calibration Kits do not come with gas cylinders, they must be ordered separately.